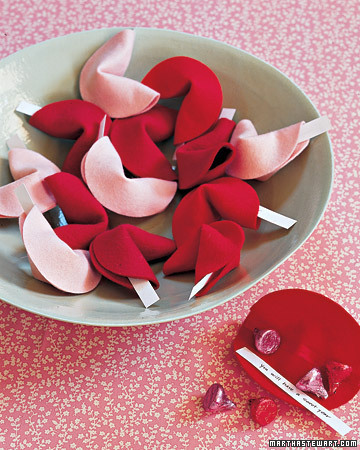 So tonight I wanted to do a quick and easy craft for Valentine’s! 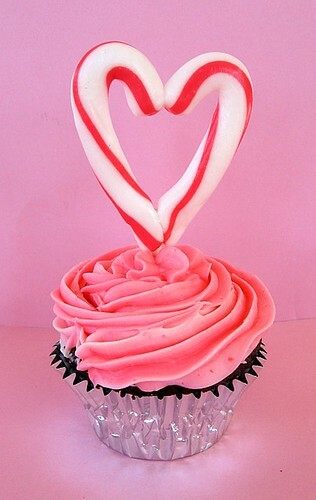 Valentine’s is my 3rd favorite holiday after Halloween & Christmas. While I usually don’t have a Valentine on the big day, I still love the holiday. I think people get too caught up in the drama of it sometimes that they forget to think about love as being universal, not just between a person and their significant other. 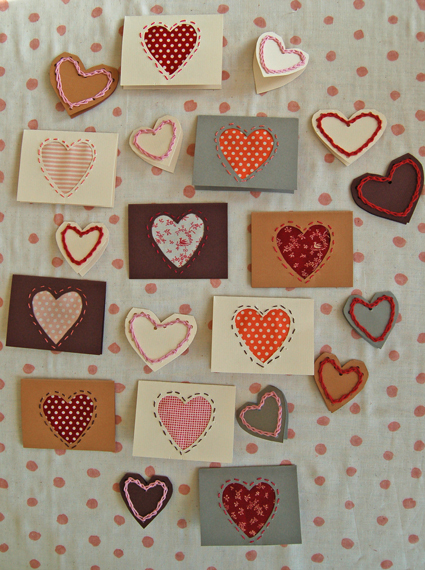 I like to think of Valentine’s more as the way I did in 1st grade, when you made a crafty Valentine box from a shoebox (decorating w/ doilies & glitter, of course) and stuffing it with little notes and from friends. So, with this in mind, I suggest you whip up a few of these, not just for you, but also as a way to say “I love you” to your pals! They’re fast and fun and you can do something a little different with each one! If you notice, my pins are very “rough” around the edges. I wanted them to be organic…that’s how I craft. Basically, I just sat down with the felt and the ribbons and played. 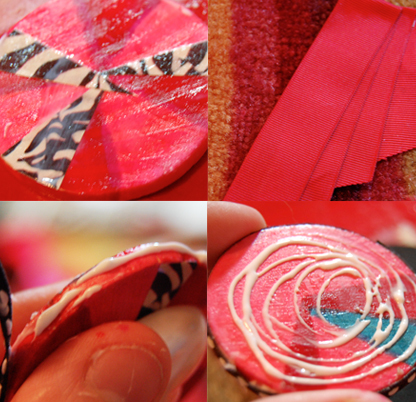 I folded the ribbons, cut them into pieces and layed them down onto circles I cut out of felt. 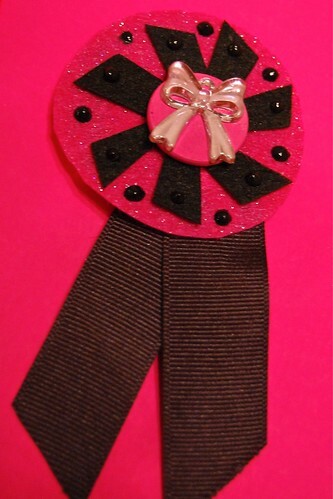 I arranged the ribbons and accents until I was happy with their arrangement. For the wood disks, I used my markers and colored them in as desired. I covered it in Glossy Collage Pauge to seal when I was finished. For the one with the leopard, you also notice that I collaged on some magazine pages. 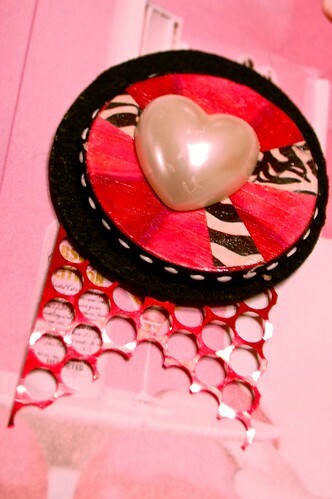 I love magazines for small little projects like this, cause you can cut out colors and patterns from ads and whatnot. I found the leopard print on a jacket on an ad actually. I glued all the elements together using Fast Grab Tacky Glue. It’s great cause it bonds really quickly. You just need to hold it together several seconds to get it to bond into place. 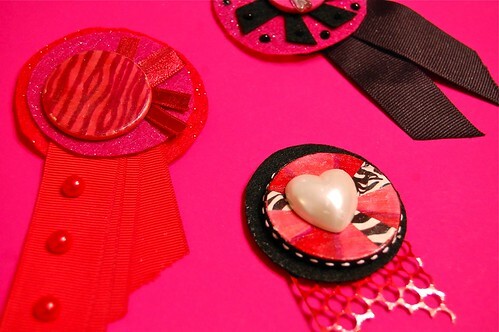 I also added some Scribbles dimensional paint on the pink and black one as well, but there really are limitless materials and embellishments you can add! 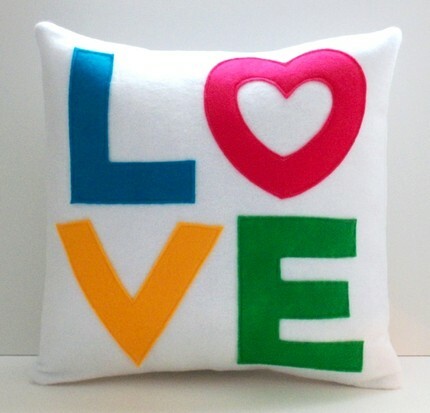 Glue or sew on beads, buttons, dimensional stickers or add your own embroidery touches! Have fun with them and go to town. 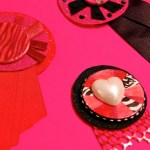 I finished them off by adding felt to the backs of all of them and adding the brooches with the Fast Grab. Let dry, then wear and enjoy! Here’s a closeup of each one of them! 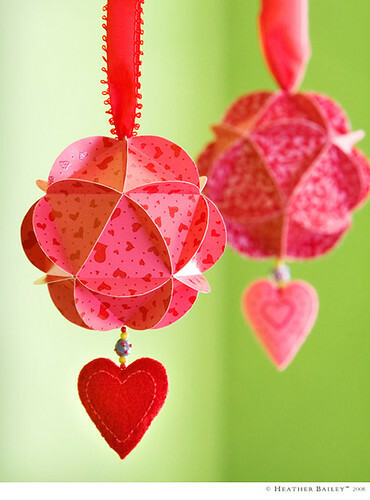 This would make for a fun craft if you are holding a crafty Valentine’s party or a Valentine’s party for little girls! 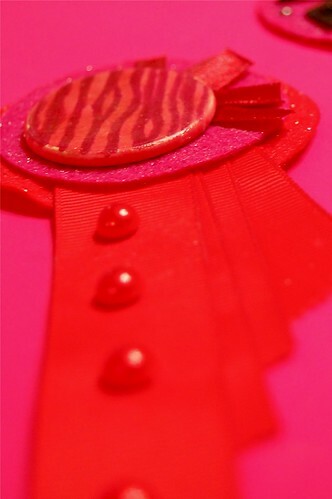 You could also adapt this idea to go on a headband or hairclip as well!